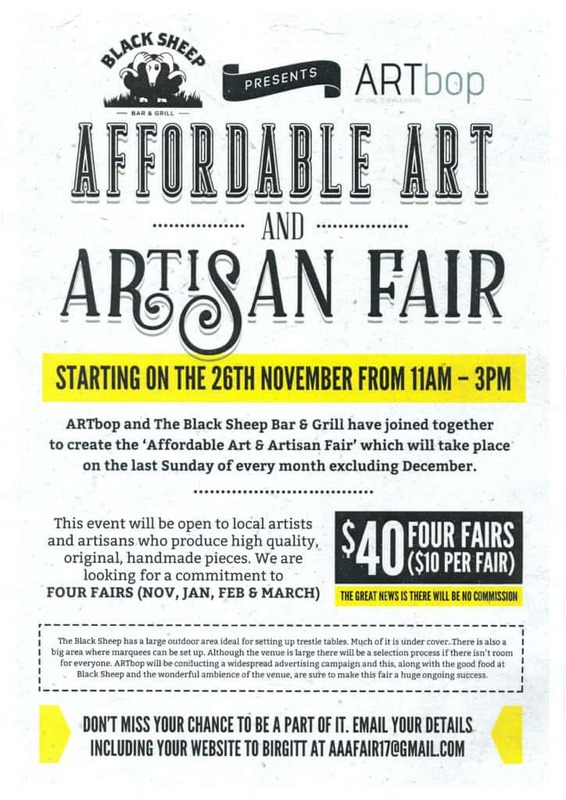 “Strategic plan, budget and funding” have not been applicable to the creation of the Affordable Art & Artisan Fair starting this Sunday morning at the Black Sheep Bar & Grill Whakamarama. 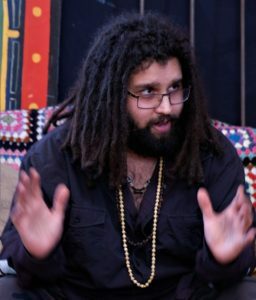 The Black Sheep which is set back from the Corner of State Highway 2 and Plummer’s Point Road, north-west of Bethlehem has been sitting waiting for this event to take advantage of its surroundings. Right by a busy road, loads of parking, great food, toilets and rural style. Catching all those coming home from the Omokoroa No 1 School Mower Day! Our ARTbop project team of me Rosemary Balu ,(responsible for any wiggly paint on the signs) Marcus Hobson (able to draw completely understandable site plans) and multi-talented ARTbop team leader the Katikati artist Birgitt Shannon have had great fun meeting and working with Peta Clavis of the Black Sheep. Birgitt Shannon paints the small stuff! 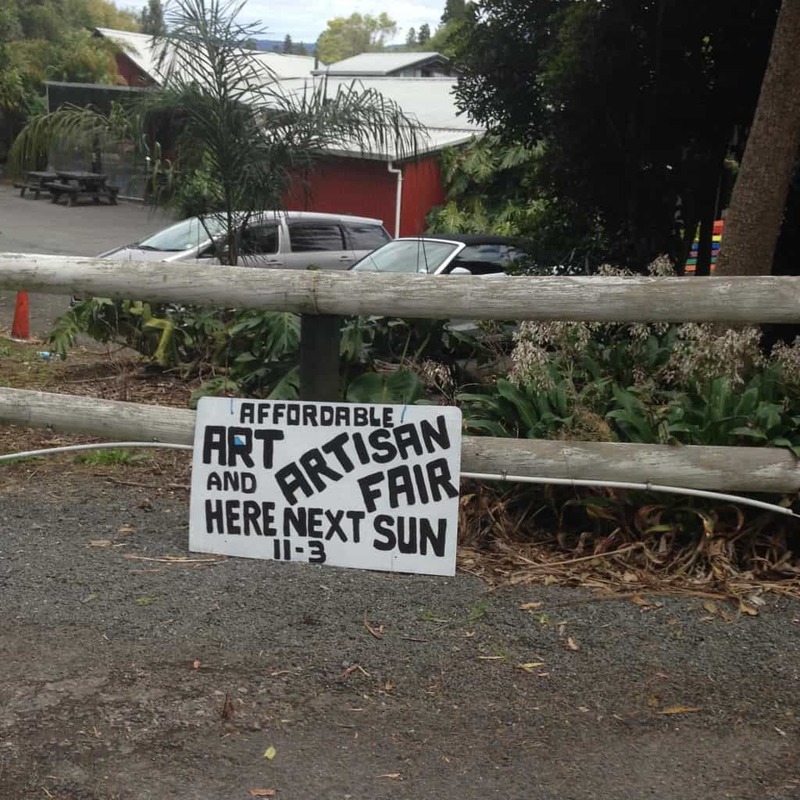 The Affordable Art & Artisan Fair is neither a personal money-making venture nor a charitable fundraising exercise. Any funds paid by the exhibitors and vendors will go to meeting running expenses and promotion of the ongoing event. There is no commission on sales. 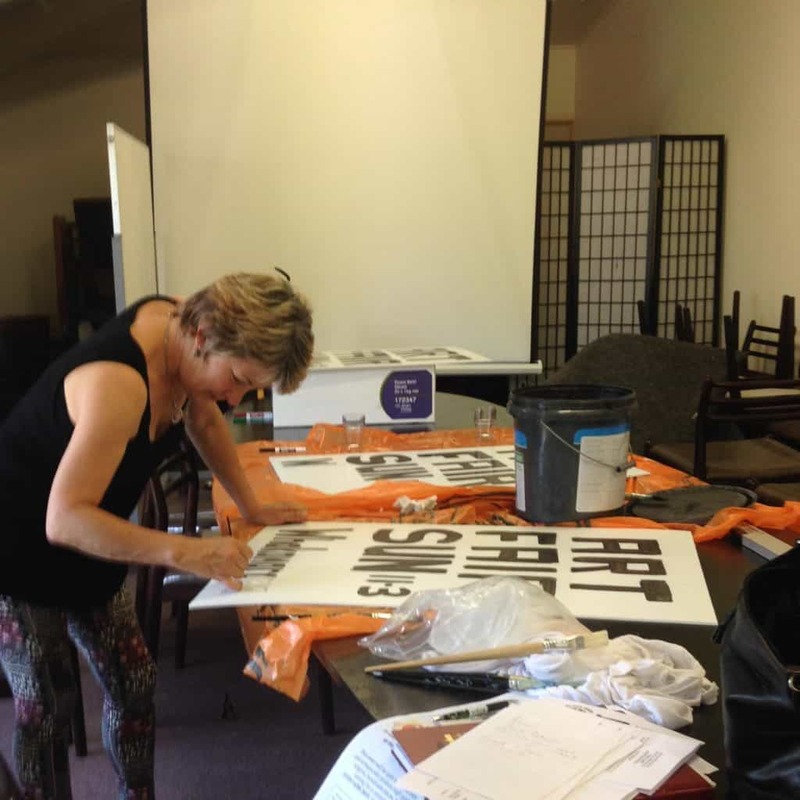 It’s an opportunity ARTbop and the Black Sheep have developed both to promote local creativity but also to provide a Whakamarama-focused event. Whakamarama in the Western Bay of Plenty is a large rural district. Look at a survey plan and we’re a much bigger area than we Upper Whakamarama residents would contemplate shares our 3179 designation. Located between urban Tauranga and developing Katikati, Whakamarama District has been part of the real, rural New Zealand – I’ve only recently lost my gravel road. ARTbop has long wanted to promote the diverse creative activities simmering below the surface of this wonderful history and creative rich district. So here we go. A big thank you to all of you who came along to our planning meeting last Friday (and took away handfuls of posters and handbills). And to those of you still emailing or ringing for an exhibition space – the answer is yes. There are so many exhibition and sale spots including the grassed open area for your gazebo. Whether you want to be in the courtyard, on the green or inside in the indoor Atrium – there is space for you. 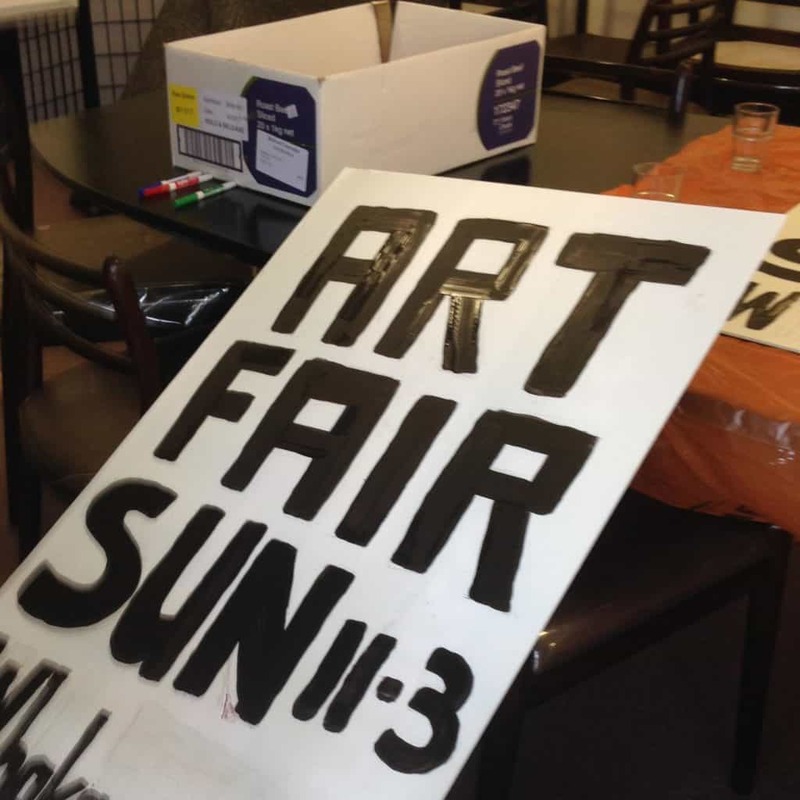 Only sanction – this Fair is being organised to promote original art and artisan product – it’s not a flea market and it’s not an opportunity to display and sell imported generic product. Signs are out and about on major thoroughfares. See you Sunday 11am to 3pm at the Black Sheep Bar & Grill Whakamarama! And check out this cool promotional video created by Birgitt Shannon – share it on your facebook page!